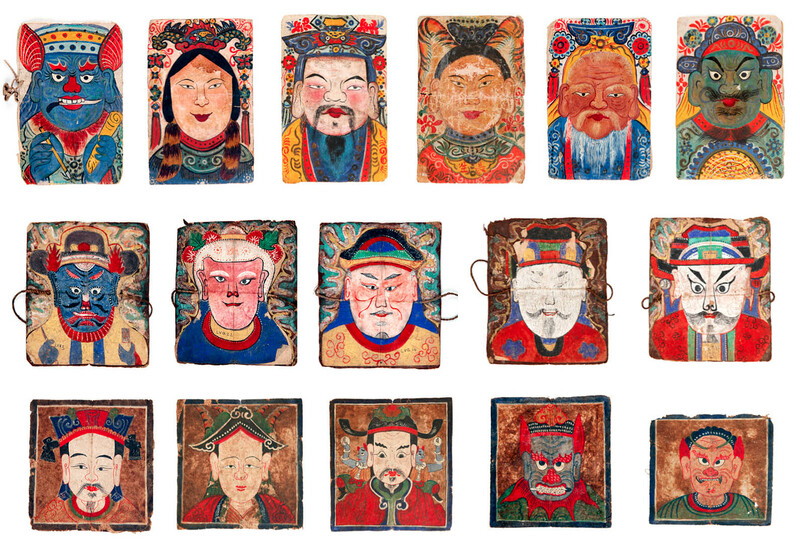 Paper masks used in shaman rituals of the Yao people of Vietnam. An extraordinary selection of shaman scrolls and ceremonial objects of five ethnic minorities dwelling in the mountains of northern Vietnam. Migrants from southern China, these groups brought a rich and diverse tradition of shamanist practices that includes Daoist, Buddhist, Confucian, animist and other religious beliefs. An exhibition of sacred objects from these groups and on such a large scale is unprecedented in the United States. How to Make the Universe Right is supported by an extensive illustrated catalog written by Trian Nguyen, associate professor of art and visual culture and Asian studies at Bates, upon whose research the exhibition is based. Ayse Ikizler ’15, a museum curatorial intern, helped with the design of the exhibition. Important support for How to Make the Universe Right comes from the E. Rhodes and Leona B. Carpenter Foundation. 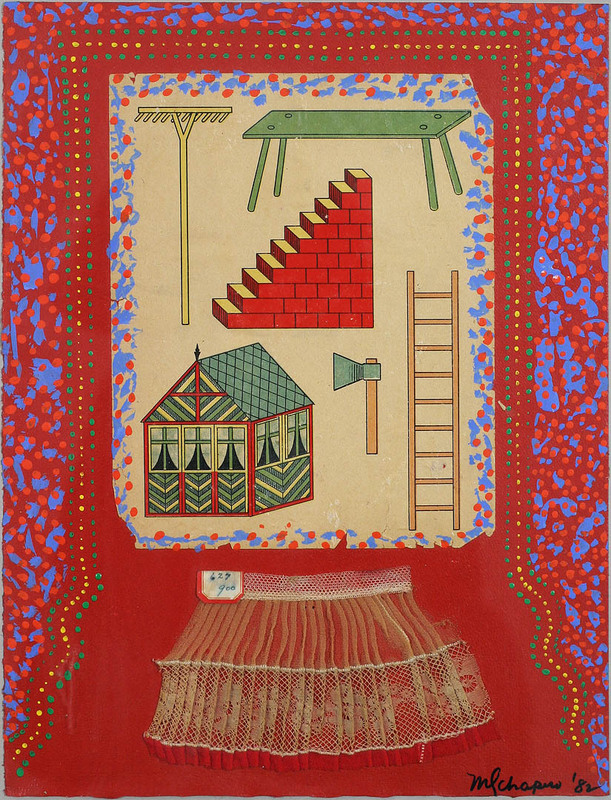 Untitled (1982), a mixed-media collage by Miriam Shapiro. A medium whose narrative is woven through the past century of art, collage is an expansive and encyclopedic concept with its own lexicon of forms and values. In Remix, the ICC gathers the diverse fragments of this tradition to link historical and contemporary practices. Remix explores dominant themes in collage — e.g., the relationship between collage and poetry, collage as an extension of painting, and the use of collage in cultural, social and political resistance. The fundamental principles of the form have become embedded in our collective consciousness, especially in cyberspace, the newest frontier in collage. Curated by the International Collage Center and William Low, curator of the Bates College Museum of Art, with assistance from Rebecca Rosen ’14. Hours: Monday–Saturday, 10 a.m.-5 p.m.